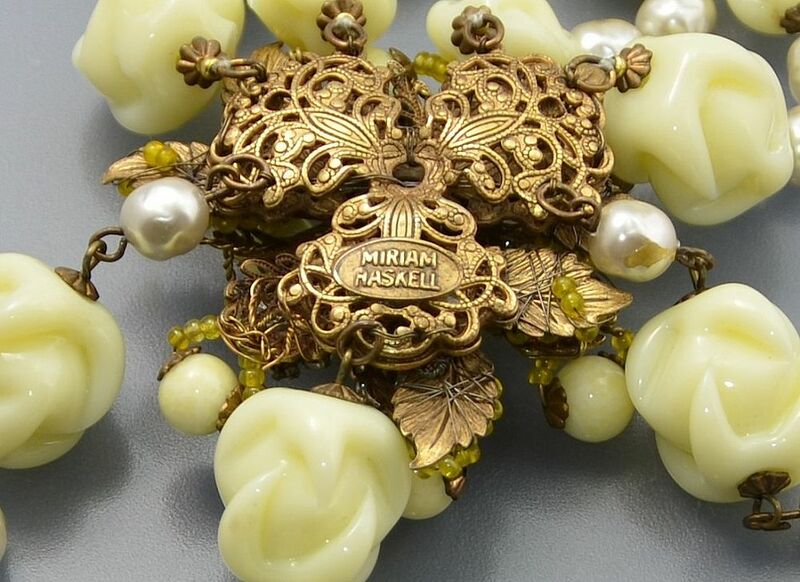 This wonderful vintage glass bead faux pearl and paste necklace is by Miriam Haskell. 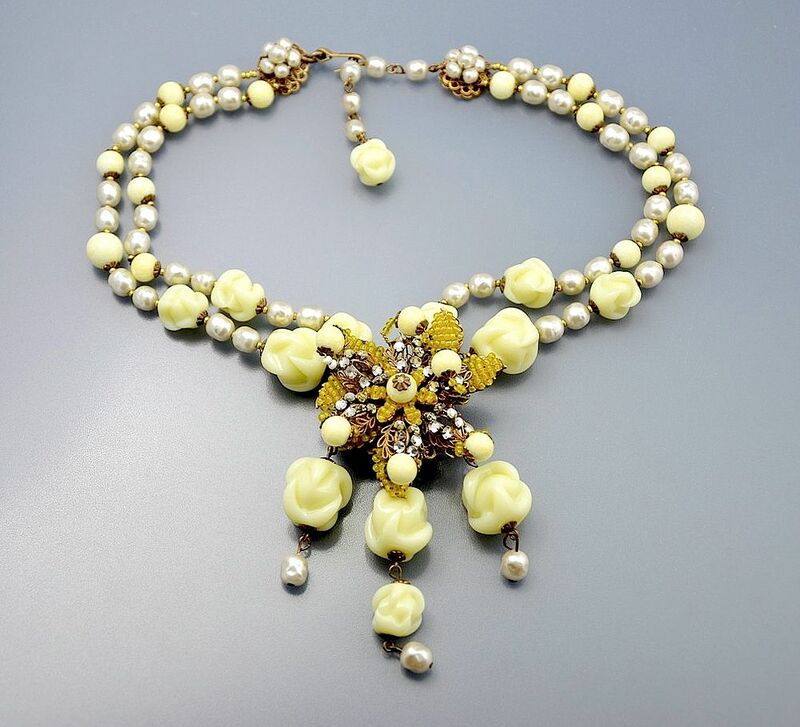 Made in the 1950s -60s it has a central section of a flower head and leaves made of opaque lemon beads, citrus yellow glass beads and and white paste. there are three drops suspended form the flow head of large moulded opaque lemon glass beads and faux cream baroque pearls. two strands of moulded opaque lemon glass beads, faux cream baroque pearls and gilt spacers. The two strands end in pearl flower heads and a hook and adjustable fastener, one end of which ends in a moulded opaque lemon glass bead. Signed. The faux baroque pearls are typical of Haskell's jewellery and the moulded opaque lemon glass beads are very unusual. A lovely piece.